I open this thread as some people are interested by not yet supported machines in openMSX. However, these machines are supported by blueMSX and the roms are available on the blueMSX site. Many people don't know how to create/edit a XML file for openMSX or don't have the required courage and/or patience (select the appropriate word !). So I hope it will be useful. It will not be limited to Arabic machines, although it starts with only a few Arabic machines. Now I could get openMSX to run all Arabic machines like Sakhr, Perfect, and Spectravideo. Still there is one but very important problem concerning Perfect MSX1 & MSX2! Perfect can run most of Al-Alamiah Arabic softwares but it cannot run its own! The Arabic softwares designed by the Arabic company owning the brand of Al-Mithali (Perfect Arabic machimes) do not run on Sakhr machines on any emulator except NLMSX for PC -at least that what I saw- but I couldn't get BlueMSX or openMSX to run Al-Mithali softwares on Sakhr. A year ago BlueMSX and openMSX was not able to run Arabic Perfect machines because they were not dumbed yet. That problem is strangely got bigger now 'cos Al-Mithali (Perfect Arabic MSX) cannot run its own softwares! Maybe it has something to do with memory mapping of Perfect Arabic machines. Maybe the configuration files needs to be checked again! If you need some Arabic softwares which were released by Al-Mithali company in order to experiment and get them to work then please feel free to tell me and I'll be glad to send them to you. 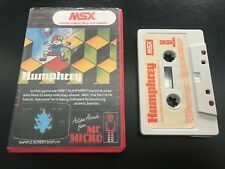 After all we must keep MSX alive, right?! I have these roms and they work fine in blueMSX (also with the Perfect machines) with the updated version of the ROM database (also available on the Resource page of the blueMSX site). 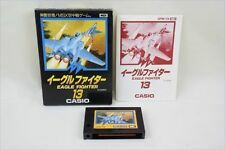 For openMSX, if these roms don't work, you just need to select the good 'mapper' (Mirrored4000) in Catapult, as these roms generally start at address 4000 in stead of 0000. You forgot that I can't use my PC and that my only computer these days is my Android phone. So, is there a Catapult for the Android version of openMSX?! If there isn't then how can I get openMSX for Android to run Al-Mithali software?! You need probably to use the command line in openMSX. But I'm not expert on this matter, I think openMSX experts will answer you. But normally the blueMSX ROM database is 99% compatible with openMSX (the missing 1% is the SCC+ roms which are not supported by this emulator). I should first explore this way to resolve your problem. Quite clumsy... so far I didn't think of a good way yet to make a romtype or ips option in the OSD menu. What are the other mappers type which I can use with cart?! I already know two Mirrored4000 and konami! In the mean time you can use the OSD menu to specify the mapper type. In the console you can use the TAB key to show the options that are applicable after the command you typed. If we specify TMS9129 as VDP in openMSX (v.0.11.0) an error occurs. Works with TMS9929A. Use a newer release, please. Oh, wait, that should actually work with 0.11.0. Several config files have this VDP specified: e.g. Philips VG-8000, VG-8010, VG-8020-20, Pioneer PX-7UK, Sony HB-101P, etc. etc. None of these machines work?